This entry was posted in Pigeon Forge Things to Do, Uncategorized on January 8, 2018 by Contributor. This entry was posted in Pigeon Forge Things to Do on December 11, 2017 by Contributor. This entry was posted in Gatlinburg Things to Do on December 7, 2017 by Contributor. Get Your Holiday Shopping Done at These Wonderful Christmas Stores in Pigeon Forge and Gatlinburg! This entry was posted in Pigeon Forge Things to Do on December 5, 2017 by Contributor. 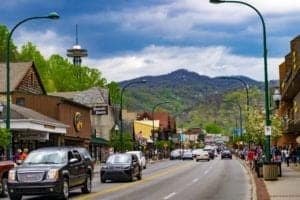 This entry was posted in Gatlinburg Things to Do on November 29, 2017 by Contributor. This entry was posted in Smoky Mountain Cabins on October 10, 2017 by topcabinrental. This entry was posted in Gatlinburg Cabins on October 3, 2017 by Contributor.